Michael J. Rushinsky, Jr. “Rush” age 63 passed away May, 21, 2018 at St. John Medical Center in Westlake, Ohio. 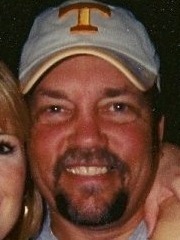 He was the beloved husband of Wrendi (nee Campbell); dear father of Michelle (John) Pendleton and Austin (Kat) Epps; grandfather of Johanna, Chambers and Thwaite Pendleton and Wyatt Epps; son of Sandra Jennings and the late Michael, Sr. and Sandra Jean; brother of Candace Bronish, Debbie Koniarczyk, Scott Rushinsky and James Monagon. Rush enjoyed golf, softball, boating and was an avid Cleveland sports fan but mostly enjoyed spending time with his family and friends. The family invites friends to celebrate the life of Rush in the pavilion at Wolfey’s Bistro and Pub, 1069 East Broad St., Elyria, Ohio 44035 from 5-7PM on Thursday, May 24, 2018. In lieu of flowers contributions may be made to Wrendi c/o First Christian Church 513 Hattie Ave. Elizabethton, TN 37643. Sending good thoughts to the family. I’m sure my brother Dave has made a tee time for the to of them. My thoughts and prayers are with you Wrendi and your family. Thoughts and prayers with you all! My son Randy Potts said “Mom, Mike was the guy who gave me my official engineering job”. He and Kim spoke so highly of him. I want to say thank you for believing in my son & helping him get his start. I’m so sad for your loss, & pray that God will wrap you in His love & give you comfort in the precious memories you hold in your heart. You are in my prayers. Wrendi, I will continue praying for you and the family. I love you! I am so sorry! You and your family are in my Prayers. Great memories, tons of respect for a great boss, mentor and friend. My heart is deeply sadden. May God’s peace be with you and your family. Wrendi, Debbie and family: So sorry for your loss. I was blessed to have known Michael. Praying for peace and comfort and that your memories will always be with you.